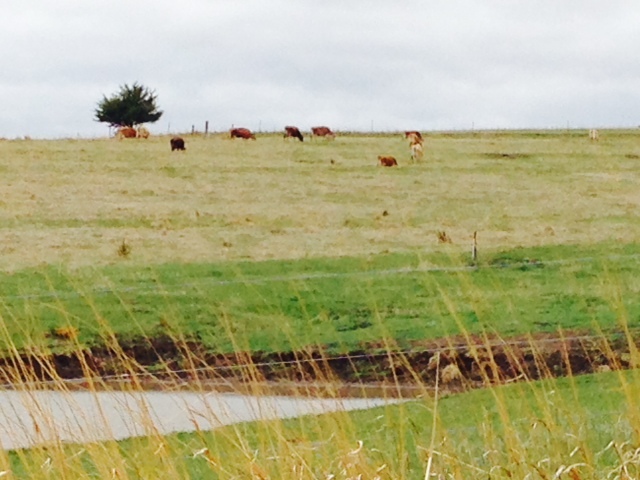 A short drive West of Nebraska City, NE among green pastures spotted with beautiful milking cows, there is a farmer who lives in a 100-year-old home and works in her modern milking barn. The home is heated with power from a wind turbine and supplementary solar panels. 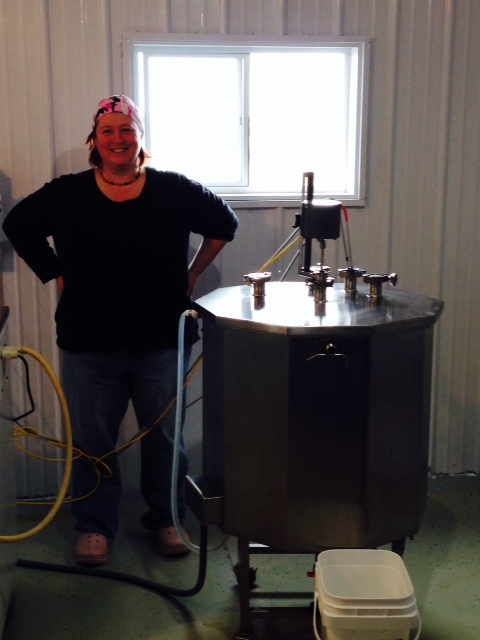 In the new barn and dairy shop, stainless steel cheese equipment is humming with gauges blinking important numbers. 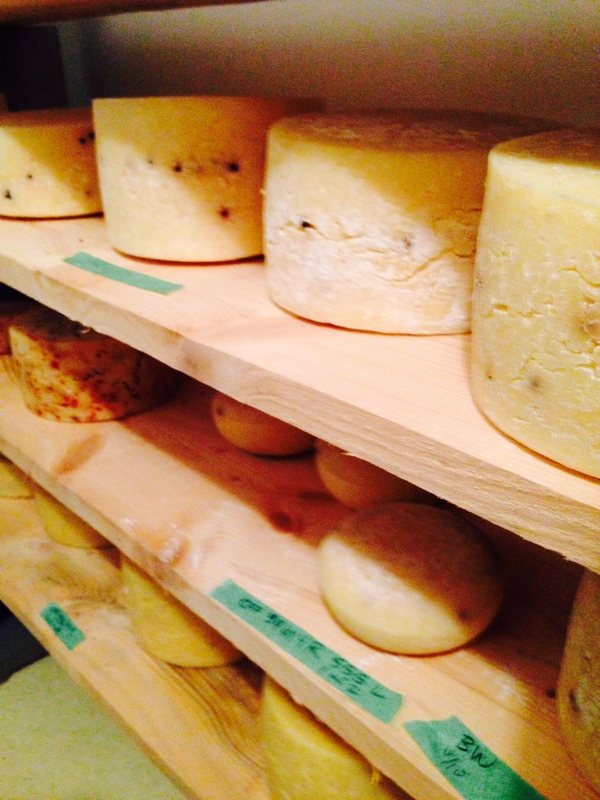 Beautiful cheese is stored for aging in different types and sizes. 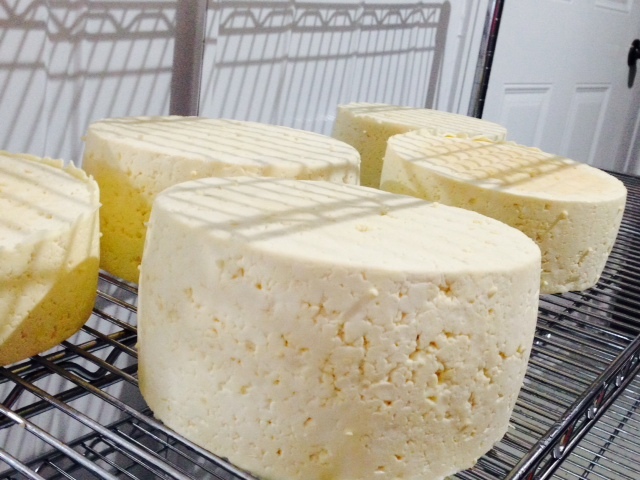 The cheese is beautiful, fresh and produced with the loving hands of the cheese whiz farmer using organic, grass-fed cow’s milk. 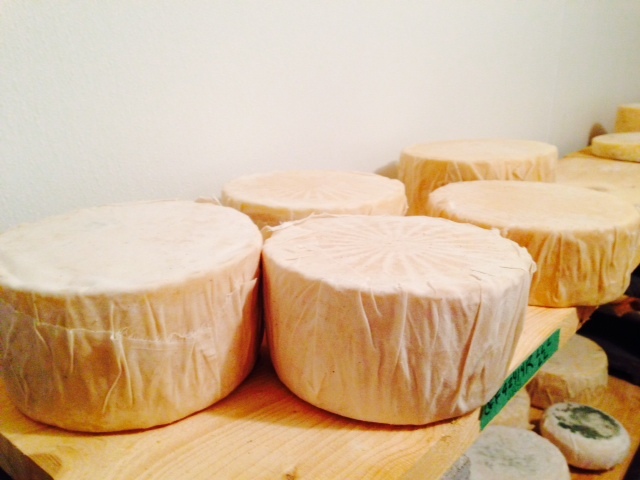 I can’t wait to buy this fresh, local cheese! In the store area I’m greeted by a friendly piglet named, “Wilber” who is adorable and yes, very smart. The farmer’s freckle-faced, red-headed daughters anxiously find me the best cheese and other local foods they have to sell like local honey, fresh-picked asparagus and homemade soap. You can also buy milk, cream, yogurt and pudding made fresh daily – displayed in a glass cooler. This trip to the farmer’s barn store might seem like stepping back in time, but for me, it’s definitely the future of our food supply and local economies. Beyond incredibly wholesome food, there is a high-tech, sophisticated, strong family thriving in a small, dependable community that is quite possibly a perfect model for the future of mankind. This entry was posted in Cheese, cooking, gardening, green, health, Local foods, Nebraska, Self-Sustainability, Simple Living, simple living tips JJ Palmtag and tagged acreage, cheese, country, farm, local, local foods, Palmtag, simple living. Bookmark the permalink. Janet, this cheesy story is precious! I want to go here! I miss our adventures in NE. Thanks for posting this on Linkedin. Otherwise, I’d have missed it. I’ll start following your blog, which, for some reason, I have not so far!